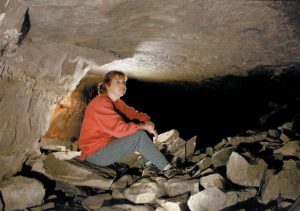 Known as “The Earth Crack,” Seneca Caverns-Registered Natural Lankmark is located four miles south of Bellevue off State Route 269. Spelunk the depths of Seneca Caverns, Bellevue, Ohio and follow the natural limestone path and view the subterranean crystal clear “Ole Mist’ry River”, fossils and more on a one-hour guided tour. “The Caviest Cave in the USA” is a fascinating geological wonder. Enjoy the cool 54 degree cave temperature. Seneca Caverns’ Summer hours: Daily 9:00 a.m. to 7:00 p.m. Spring and Fall hours: Saturday & Sunday 10:00 a.m. to 5:00 p.m. Last tour departs one hour before closing.